TOUGH Kids Tournament, April 26th! Save the date, folks! On April 26th, One TOUGH Kid will host their 2nd Annual TOUGH Kids Tournament in the heart of Shelby County…the Alabaster YMCA. The entire metro Birmingham are is invited! The TOUGH Kids Tournament is an athletic event designed for young athletes, competing in honor of local TOUGH Kids. What is a TOUGH Kid? This is a child or teen that has endured nearly unimaginable struggles in life; yet, they continue to smile, show love for life, and inspire others with their TOUGH Kid attitude. What’s a TOUGH Kid attitude? Tenacity…Optimism…Unselfishness…Gratitude…Happiness. A TOUGH Kid is known for choosing happiness despite the circumstances, for never giving up, for expressing gratitude in the littlest things. This is the attitude we want to celebrate. This is the attitude we want to teach others. 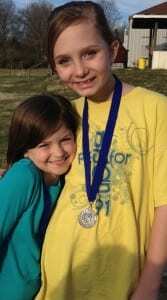 Visit www.OneToughKid.org to learn more and CLICK HERE to register for the tournament. Act fast! Space is limited to 100 participants. 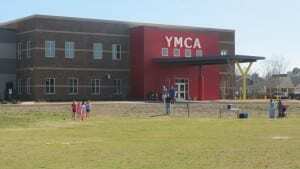 A special thanks to the Birmingham and Alabaster YMCA for allowing One Tough Kid to use their indoor and outdoor facilities for a worthy cause!